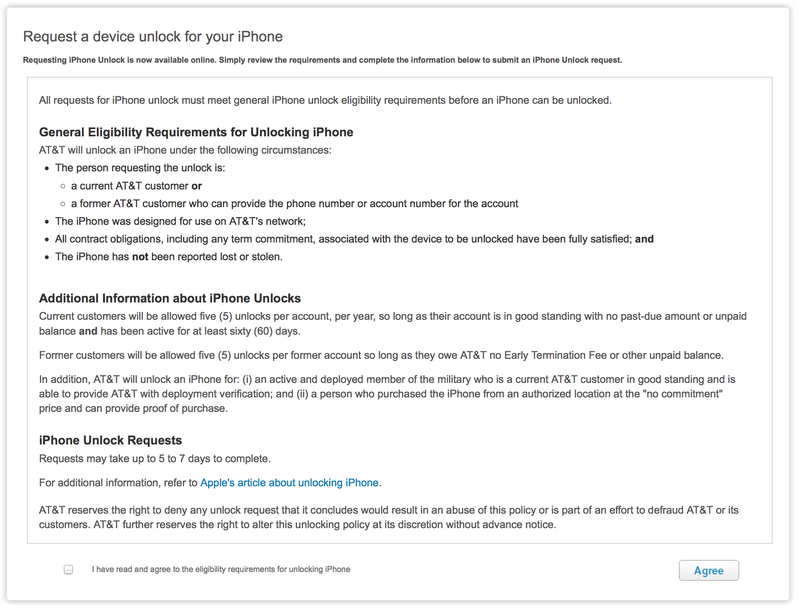 Any current or former AT&T customers have the ability to IMEI unlock up to 5 iPhones per account, per year, as long as the account is in good standing or all previous debts have been paid. The account must have have been active for at least 60 days. An IMEI unlock is a factory unlock that will allow you to use your iPhone on any GSM network worldwide and will allow you to install iOS updates with out being locked out. Many companies are charging between $50-$150 for this service, so if you are a present or past ATT customer you should look into this FREE IMEI unlocking solution. If you are not an AT&T customer you can ask a friend or family member to possibly unlock it for you. There are some requirements and other useful pieces of information that you need to be aware of. AT&T will only unlock iPhones that were designed to be used on AT&T’s network. You can unlock any iPhone version including the original iPhone, iPhone 3G, iPhone 3GS, iPhone 4, and iPhone 4S. The iPhone must not have been reported lost or stolen. Requests may take 5-7 business days to complete, but we have heard reports that most of them take place in 2 days or less. For additional information, refer to Apple’s article about unlocking iPhone. You can fill out an online request form on AT&T’s website located here.